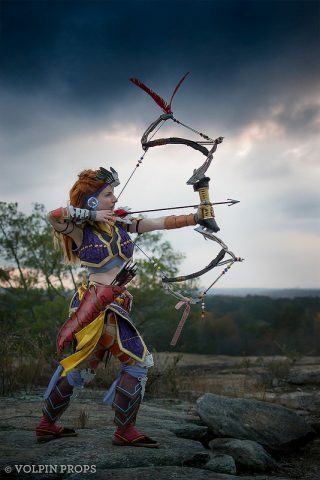 Volpin Props Makes a Horizon Zero Dawn Shadow Sharpshot Bow « Adafruit Industries – Makers, hackers, artists, designers and engineers! We’ve seen Kamui Cosplay’s take on making a Horizon Zero Dawn Sharpshot Bow, and now it’s time to look at Volpin Props’ process. They actually made a variant of the weapon, the Shadow Sharpshot Bow. 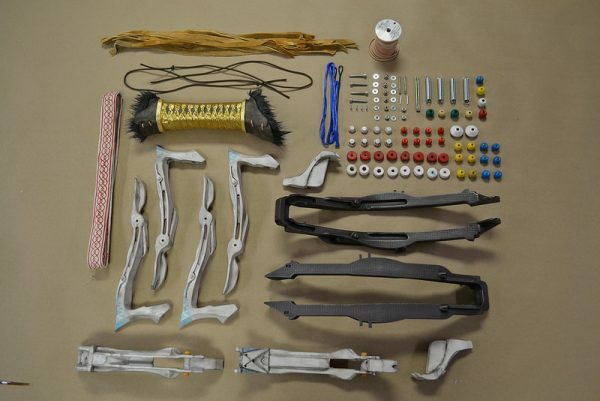 Harrison Krix of Volpin modeled the prop himself with Autodesk Fusion 360 (he learned how to use this program through Lars Christensen’s YouTube tutorials) and after 3D printing, Krix “molded and cast in urethane with steel cores for rigidity.” You can see the number of pieces he had to assemble in a photo below. Read more and see several step by step photos at Volpin Props.